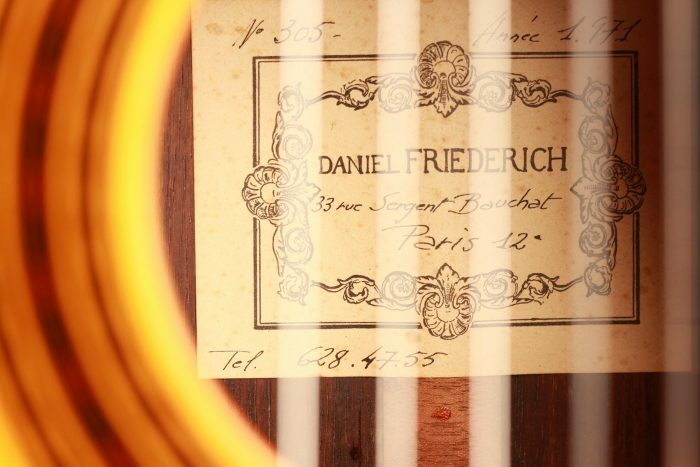 This incredible guitar, built in 1971 by Daniel Friederich, is one of the first guitars he built with double sides. 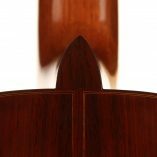 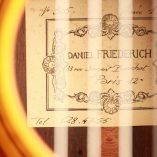 Made of Indian rosewood / Indian rosewood, these double sides are testimony of a great evolution in Daniel Friederich’s work. 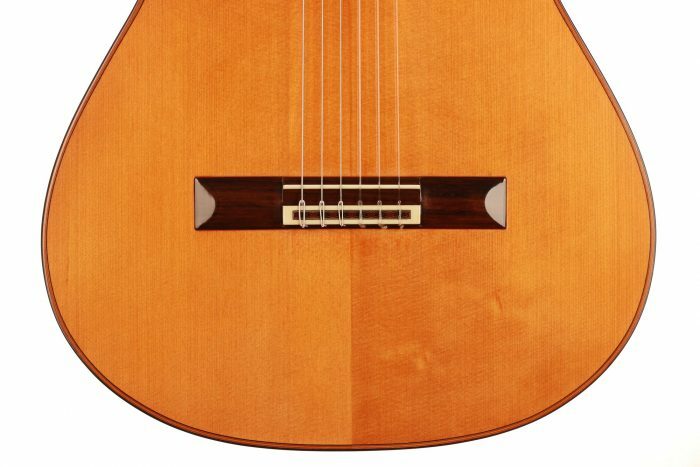 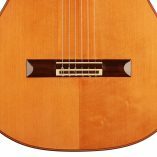 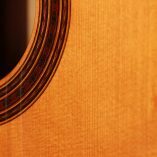 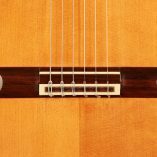 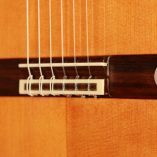 The spruce top is built with a sophisticated fan-bracing that combines Robert Bouchet’s ideas with Daniel Friederich’s quest to create a balanced and more powerful instrument with unsurpassed sonority. 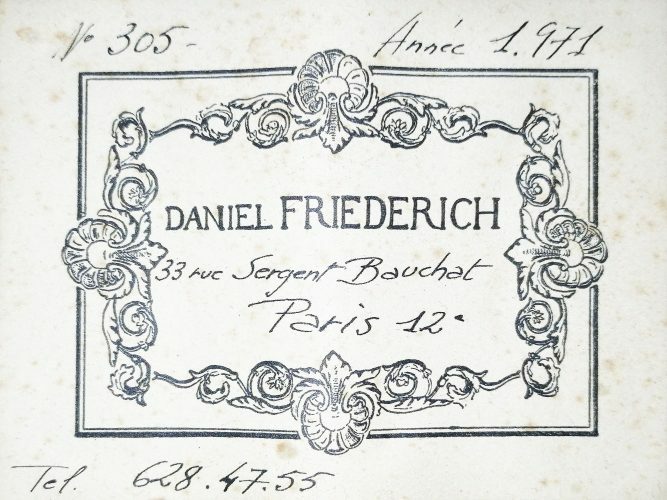 A copy of the workshop report of this guitar informs us about Daniel Friederich’s approach and this extraordinary document describes an instrument rich in harmonies with powerful midtones and a precision work made to a hundredth of a millimetre. 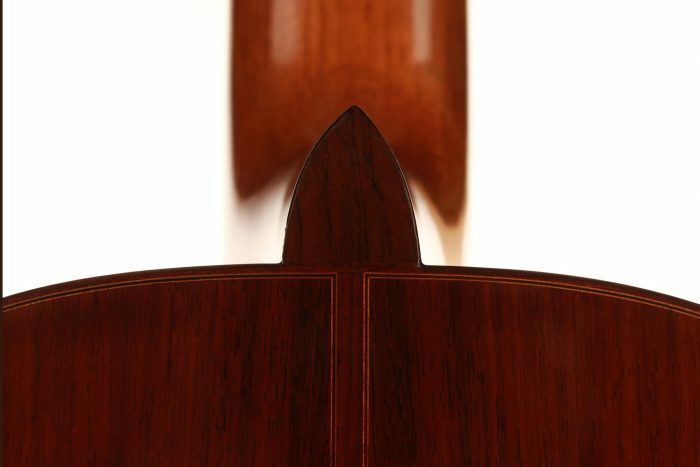 The instrument is optically captivating due to its great beauty and is in very good condition. 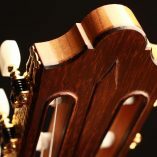 It had only one crack on the top, which is hardly visible today. 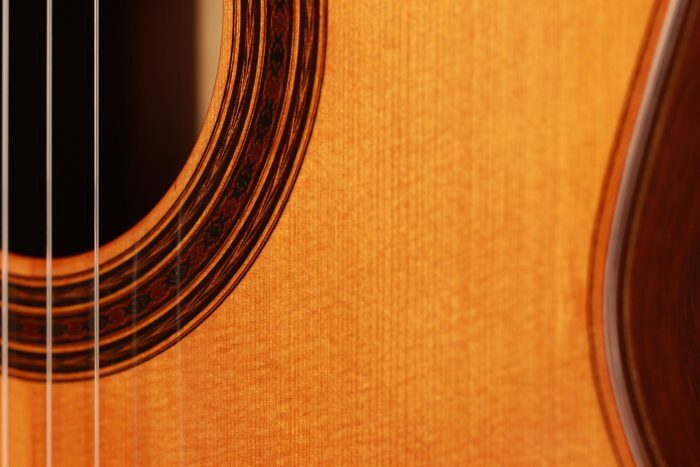 The repair of this crack on the left side of the top required a re-varnish that was done very accurately a few years ago. 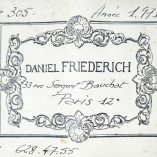 The top was varnished with a copal plant varnish and the original pigment that Daniel Friederich himself provided to the luthier. 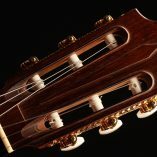 This restoration and the replacement of the tuners are the only two changes of the original condition of this instrument. 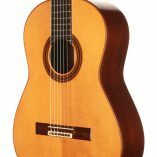 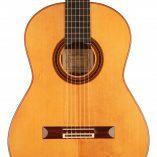 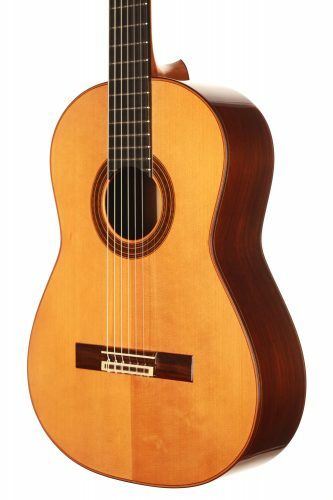 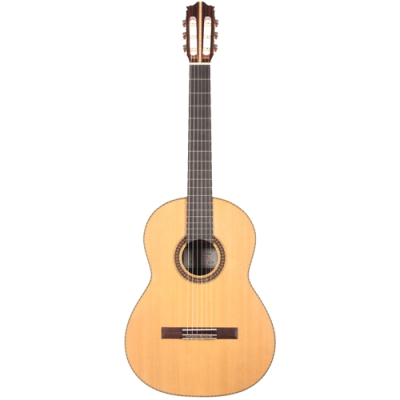 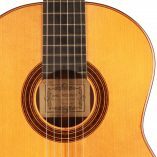 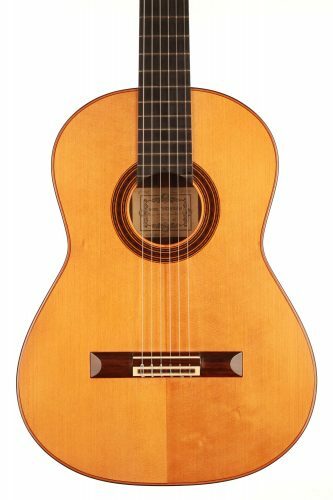 This 1971 Friederich plays very pleasantly, giving the guitarist a wonderful abundance of timbres, and thus a variety of sound dimensions as well as the greatest possible freedom in playing. 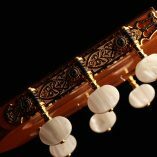 It is a very sensitive instrument, which reacts precisely and whose sound can be formed wonderfully in the hands of the musician. 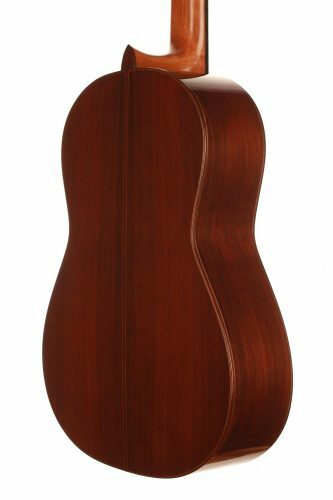 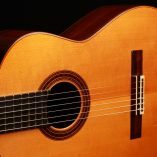 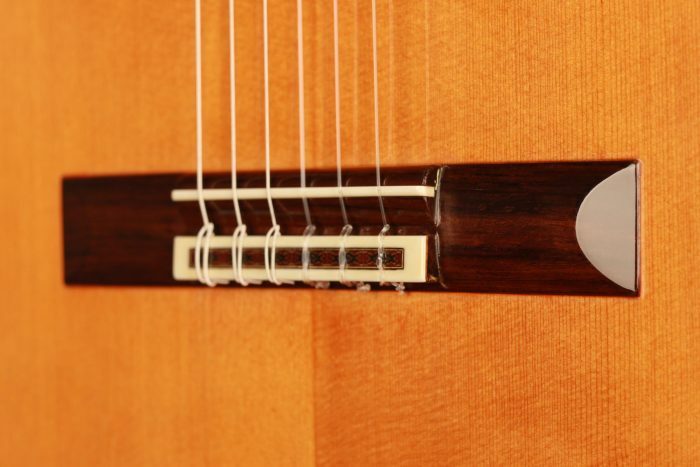 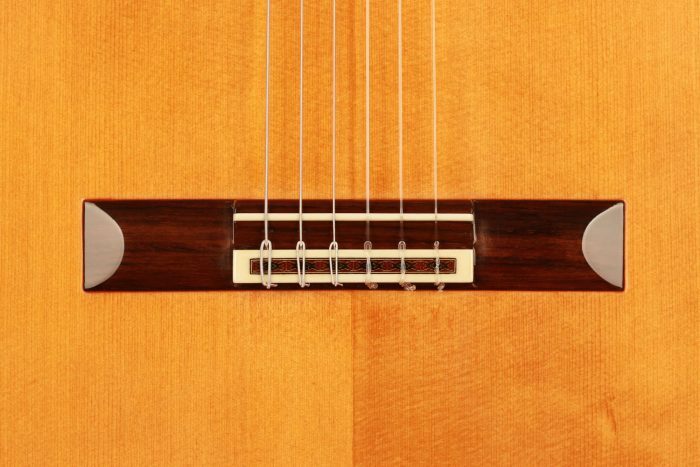 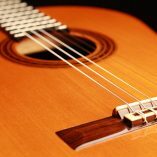 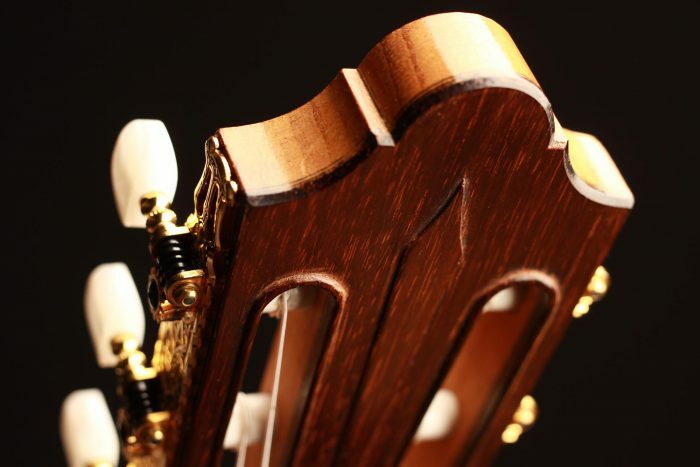 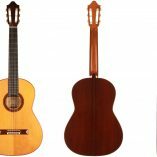 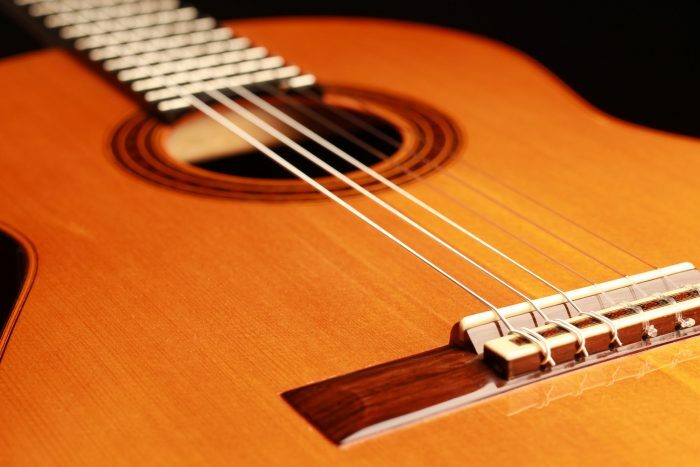 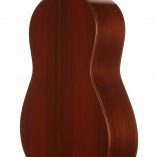 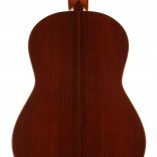 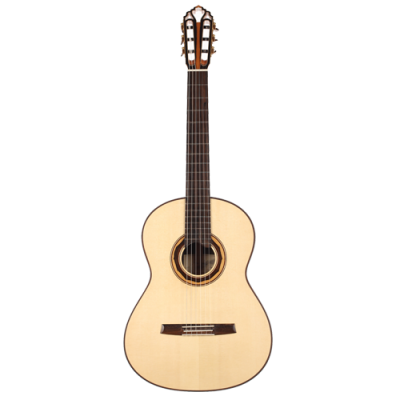 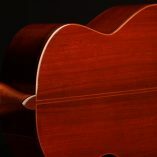 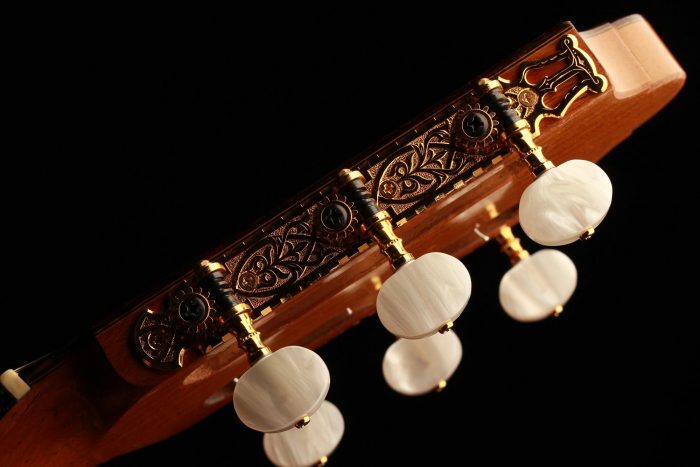 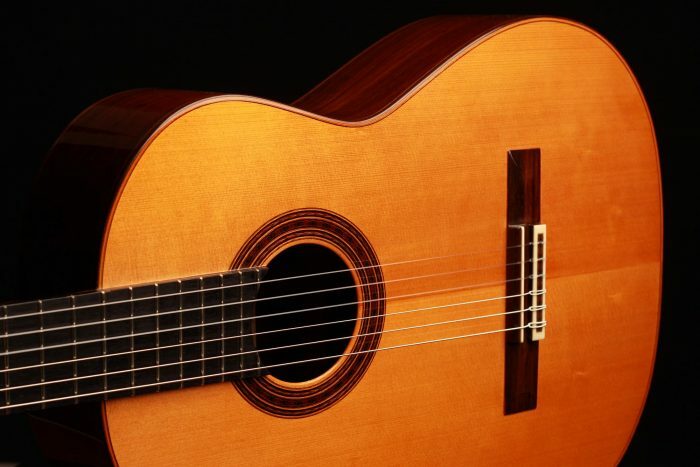 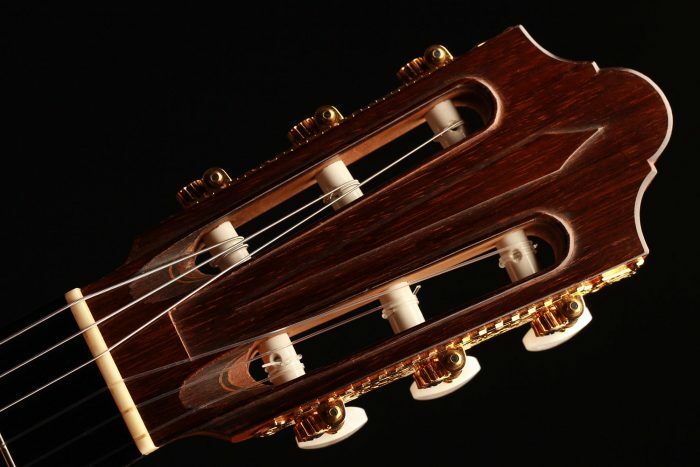 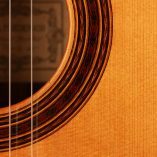 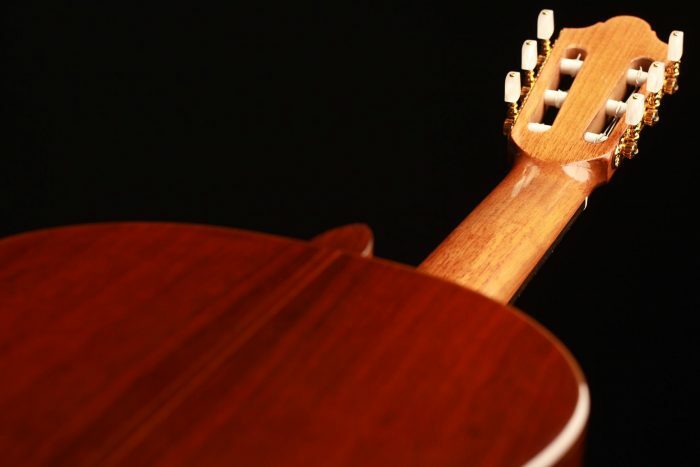 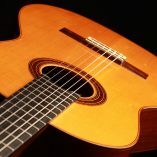 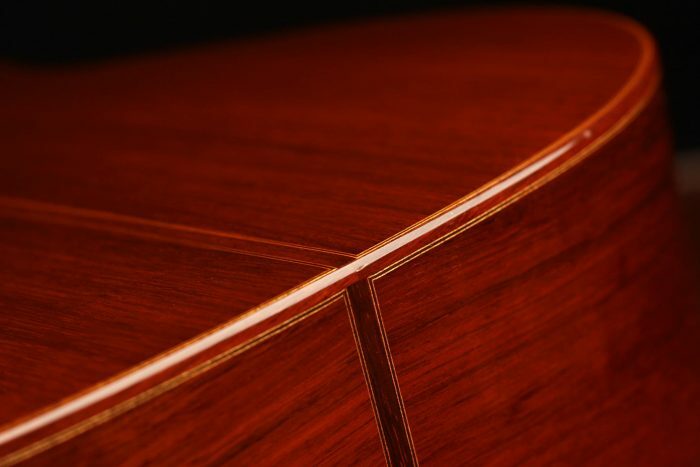 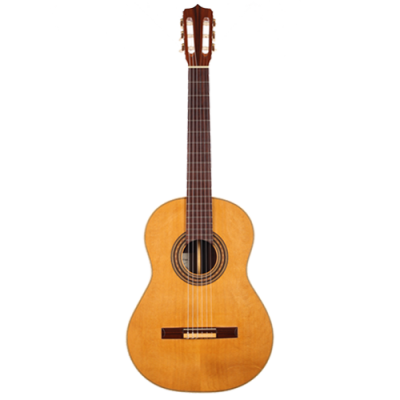 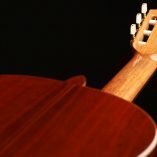 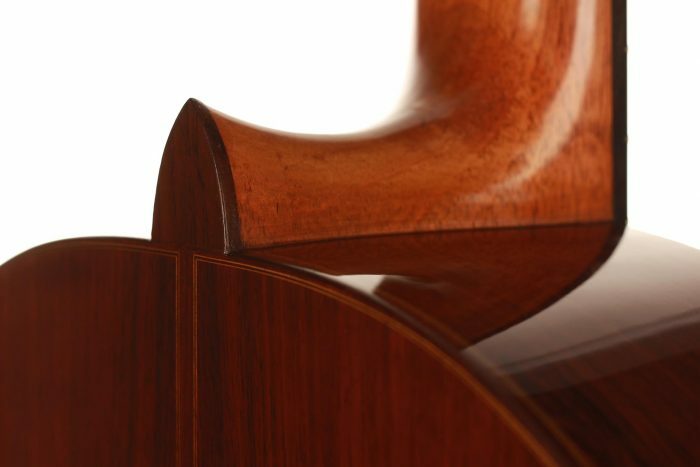 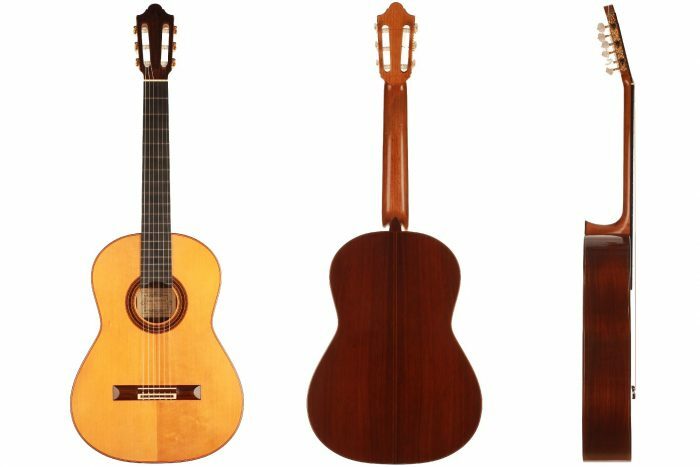 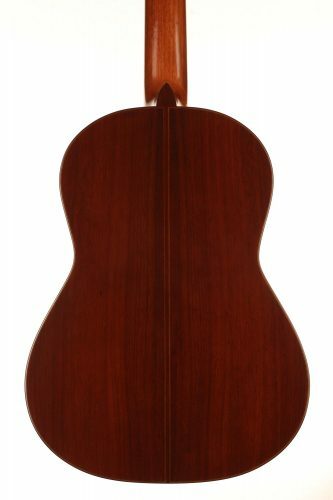 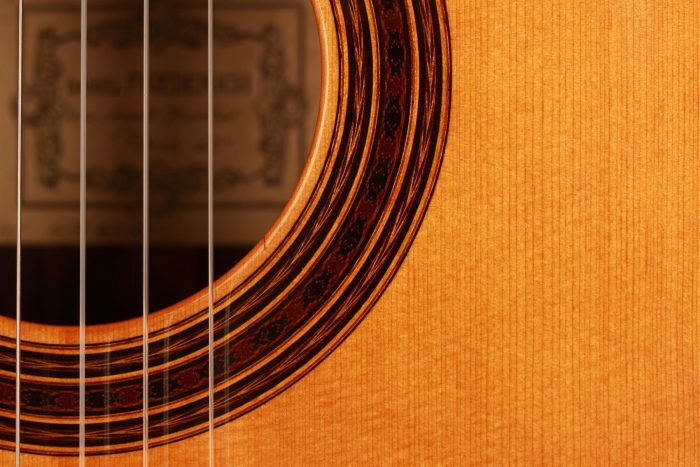 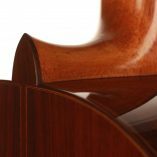 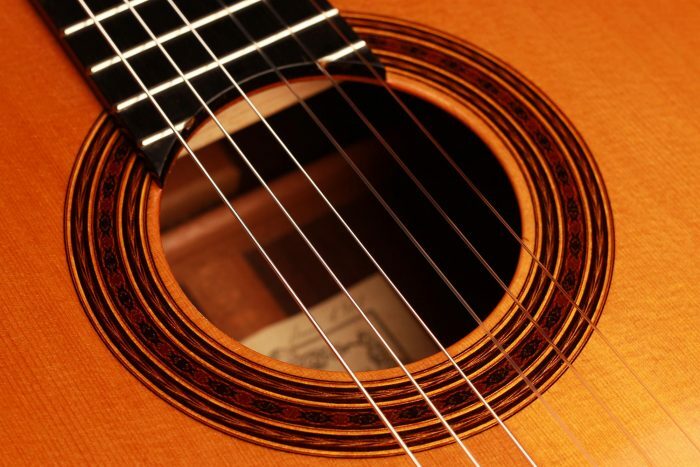 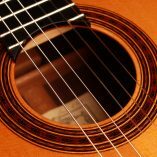 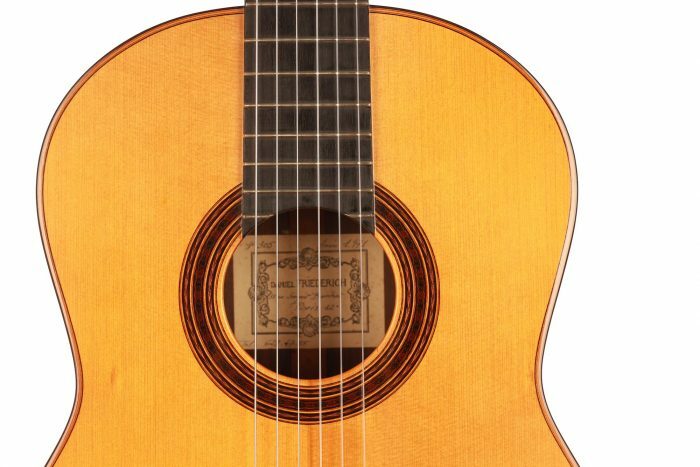 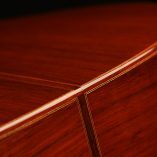 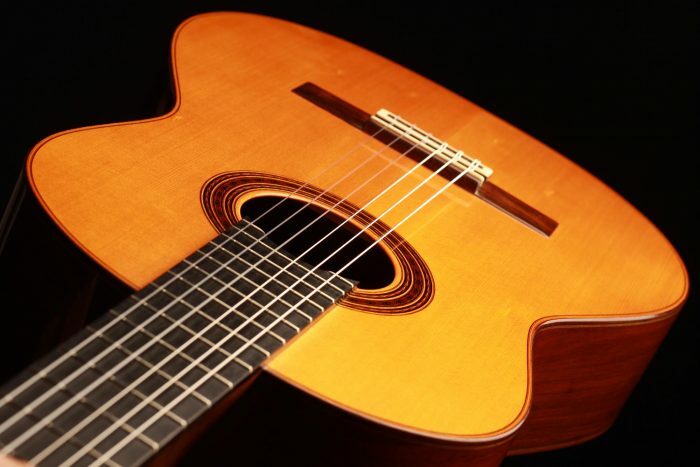 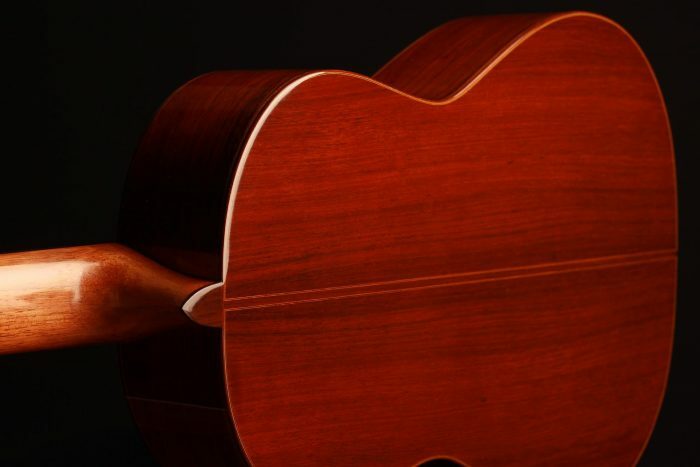 To us this guitar is definitely one of the most sophisticated instruments in the history of classical guitar.